Walk In's Always Welcome! No Appointment Necessary! Open during lunch-time hours for your convenience. 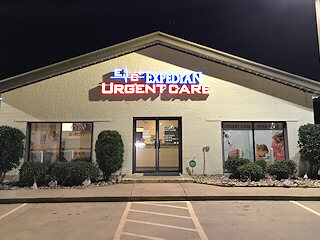 The Expedian Urgent Care center in Waxahachie is owned and managed by Board Certified Emergency Physicians. Expedian Urgent Care is a modern facility with the latest equipment and highly qualified doctors and medical staff to treat your medical needs. We are also bilingual in English and Spanish. At the Waxahachie Expedian Urgent Care, we provide medical services to patients of all ages. All patients are seen on a walk-in basis, during both extended and weekend hours. If you need dot physicals, a physical for school, sports, or employment or more major services like vaccinations, X-Rays, Labs, EKGS and IV Fluids, you can come by our convenient locations to receive treatment now, not later.